The Fremont MathPi Academy is the brainchild of Professors Suparna Chakraborty and Paul Zeitz of the University of San Francisco. Suparna is currently the Faculty Director of Curriculum Development of the College of Arts and Sciences and an Associate Professor at the University of San Francisco. 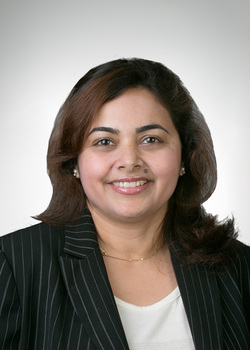 After earning her Masters in Economics with a Minor in Mathematics from the University of Washington in Seattle, and her PhD from the University of Minnesota, Suparna has been a university faculty for almost a decade, beginning her career at the City University of New York, and then at the University of San Francisco. A passionate quantitative economist with numerous journal articles and book chapters to her credit, Suparna is also a member of the Math Circle Teacher's Network, a community of professional mathematicians and math teachers across the United States, with local chapters in the Bay Area who meet periodically to brainstorm effective mathematical strategies and math problems to stimulate the young mind. Suparna resides in Fremont with her family and has been serving the Fremont community in various capacities, including being a former Director of the Fremont Education Foundation, member of the Curriculum Advisory Committee of the Fremont Unified School District and currently a School Site Council member at the Mission San Jose Elementary school, where she has initiated many national and international math contests for elementary school children. In the world of Mathematics, Paul certainly needs no introduction. Currently the Chair of the Dept. of Mathematics at the University of San Francisco, Paul is the founder of the San Francisco Math Circle, and the Proof School. Originally trained as an ergodic theorist (PhD University of California, Berkeley, 1992), today his overriding interest is mathematical problem solving and the promulgation of an Eastern European-inspired problem-solving culture to American audiences. Towards this end, he wrote The Art and Craft of Problem Solving in 1998, co-founded the Bay Area Mathematical Olympiad in 1999, and co-founded the San Francisco Math Circle in 2005. In 2009, he produced a series of video lectures for The Teaching Company on problem solving. 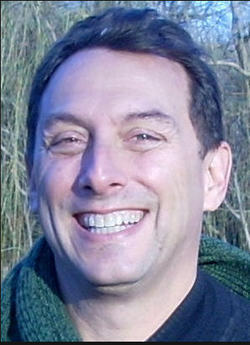 Among his numerous laurels, in 1974 Paul Zeitz won the USA Mathematical Olympiad (USAMO) and was a member of the first American team to participate in the International Mathematical Olympiad (IMO). Since 1985, he has composed and edited problems for several national math contests, including the USAMO. He has helped train several American IMO teams, most notably the 1994 "Dream Team", the only team from any country to ever score a perfect 252 in the Olympiad. For his contributions to mathematical education, Paul was honored in 2003 by the Mathematical Association of America with the prestigious Deborah and Franklin Tepper Haimo Award.